A one-off, special edition Porsche 911 Turbo – know as “Project Gold” – has been sold at a charity auction, making £2.4 million for good causes in the process. The car in question was built to celebrate the 70th anniversary of the German car maker. 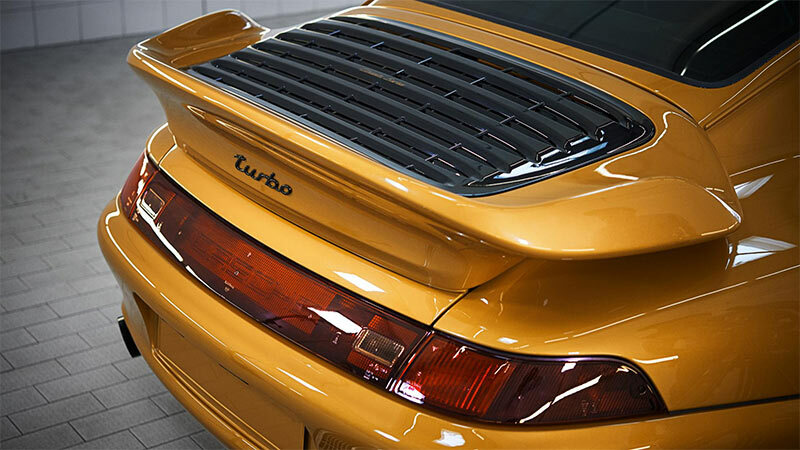 It’s a 993-generation 911 Turbo with an air-cooled engine – a model that ceased production over 20 years ago. It boasts 450 horsepower, metallic gold paint (sadly not real gold) and black & gold accents throughout. It was auctioned off shortly after making its debut appearance at the Porsche Rennsport Reunion in Laguna Seca (USA) on 27th September 2018, with the proceeds going to the Ferry Porsche Foundation – a non-profit run by Porsche that supports work in education, research, sport, culture and social affairs. ← Xbox One or PlayStation 4: Which one should you buy?